It’s the festive season (well, depending on when you’re reading this) and many of you will be flying to Oahu for Christmas and the holidays. However, while you’ve booked your flight to Honolulu International Airport, some of you remain undecided on your accommodations. This is an important decision for families at this time of the year so you want to make sure you find yourselves in the heart of the holiday action, especially when the kids expect all of the jingle bells and whistles found back on the mainland. The good news, is that even with the 80-degree winter weather, Oahu is absolutely one of the most festive places on the planet. That being said, some parts of the island are more so than others which is why we’re pointing you in the direction of the south shore, smack dab in Waikiki. Let’s take a sneak peak at why. You’re going to want to squeeze in some last minute (or start??) shopping as December 25th approaches and the hotel gift shop won’t cut it. Thankfully, the best shopping destination in all of the Hawaiian Islands is located on the cusp of Waikiki along Ala Moana BLVD. 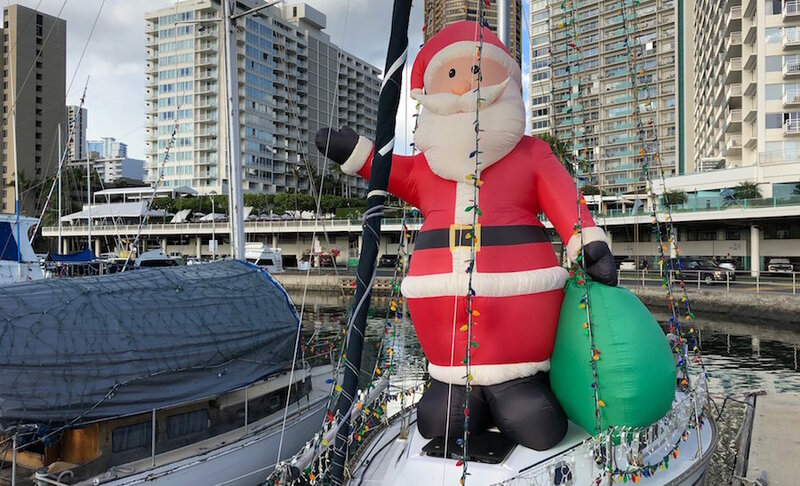 You can’t miss it, just look up for the giant Santa Claus who crowns world famous Ala Moana Center. Beyond Ala Moana, Waikiki is bountiful with holiday shopping opportunities, with boutique stores in addition to the chains you know, love, and depend on to check off the wish lists of those in your party. All you need to do is walk up and down Waikiki’s Kalakaua Avenue and you’ll see what we mean. 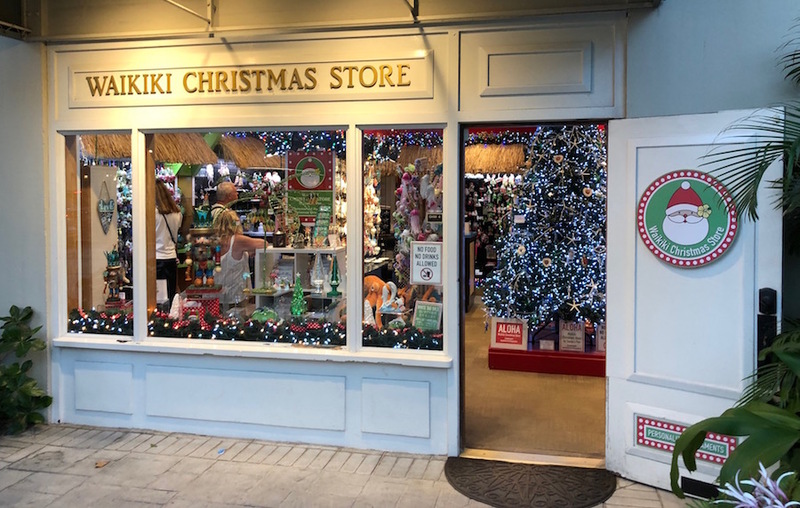 Be sure to stop by the year-round Waikiki Christmas Store for ornaments, gifts, and stocking stuffers. You won’t find a more densified selection of lights, decorations and assorted festive adornments on the island than in Waikiki. Pretty much every shop and resort lobby is decked out in seasonal decor to the tee. The focal point of it all is Royal Hawaiian Center where the giant Christmas tree stands tall for all to photograph and share online with those suffering the cold on the mainland. For some great photo opps, stop by the lobbies of Moana Surfrider, Outrigger Waikiki, and the Sheraton Waikiki where their iconic Santa themed sandcastles are on display. Waikiki makes sure your family’s holiday wishes are fulfilled, with a lineup of weekly events in the Royal Hawaiian courtyard in addition to those exclusive to the hotels/resorts themselves. Beyond the numerous performances (hula, ukulele, etc.) at the Royal Hawaiian Center your kids will enjoy taking FREE photos with Santa Marty (yes, Marty) on Mondays and Wednesdays for the run of days from Thanksgiving to Christmas Eve. Plus, if you make it to Oahu in time for the Friday after Thanksgiving Day you’ll get to watch the Waikiki Holiday Parade (running from Saratoga Road to the end at Kapiolani Park) which boasts over 4,000 marchers, and dozens of festive vehicles and marching bands. There is no shortage of things to do during this special time of the year in Waikiki. 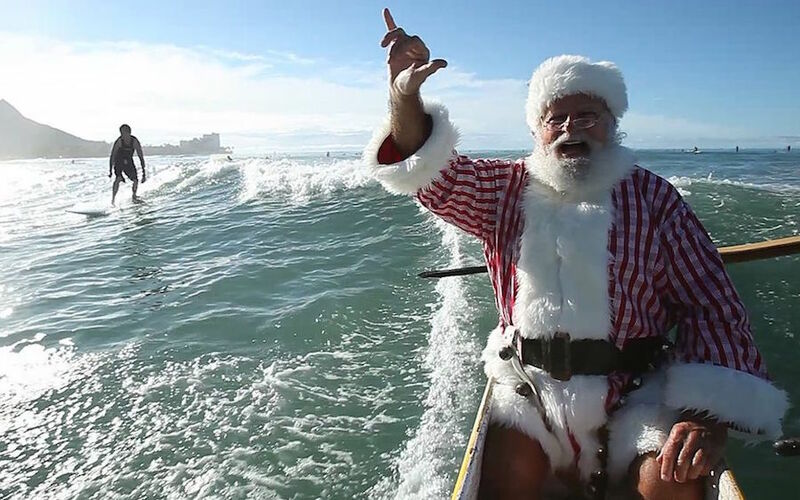 Where Else Will You Find a Surfing Santa? 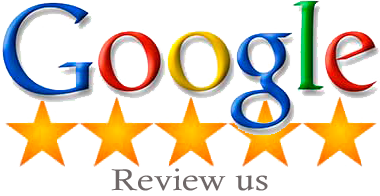 Whether you and your family decide to stay in Waikiki for Christmas and holidays, or anywhere else on the island, make sure you start the experience off right by booking a direct flat-rate private shuttle from HNL to your accommodations.